Feel like a graduate symposium? Me too! May 16-17 Parsons is hosting its ADHT (Art and Design History and Theory) Graduate Symposium which allows students from the MA History of Decorative Arts and Design, MA Fashion Studies, and MA Design Studies programs to present their original research. 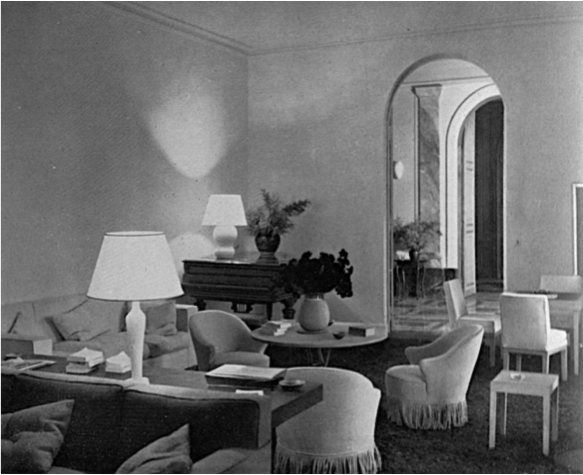 I will be presenting my paper, “Villa les Palmiers: Luxurious Isolation on the Art Deco Côte d’Azur,” exploring the effects of the socio-economic climate during the interwar period on Jean-Michel Frank’s design for a notable Nice vacation home. The other wide-ranging topics presented by the field’s emerging scholars can be found here. So come check it out!